The best part of my job is getting clients from birth and watching them grow into little humans. This family has been my clients for six years now, as I had the opportunity to photograph them when they were just a few days old, and now had the opportunity to photograph them as growing children. 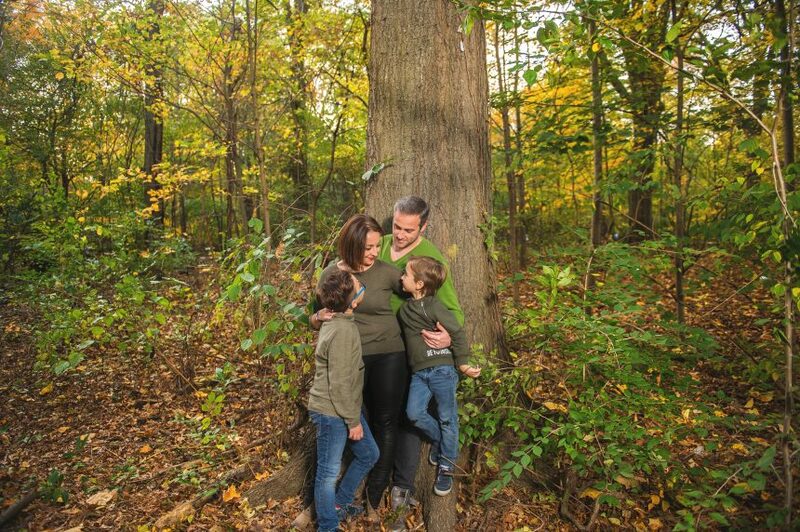 It always means a lot to me that clients choose me over and over again, year after year, to update their family pictures and create new memories. The session you see here is a repeat client, as stated before. They have been with me for six years now, coming to me to capture all of their precious memories. This fall session was taken in Prospect Park, Brooklyn. 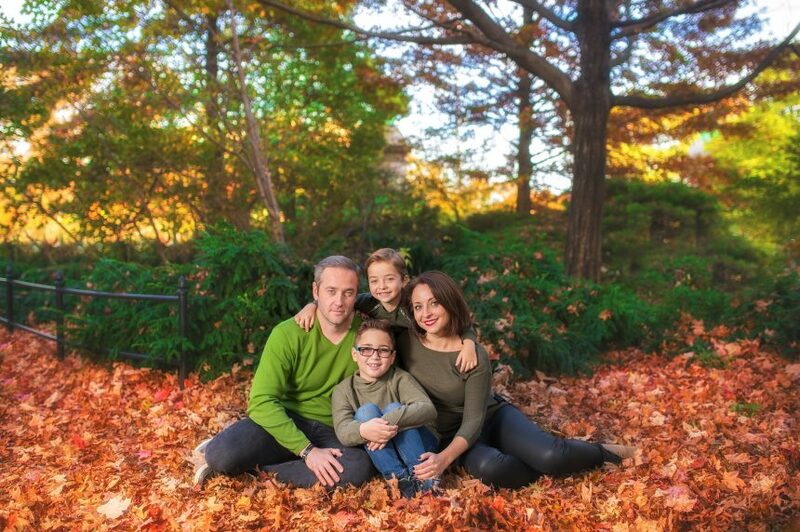 We just caught the end of the fall season, as the leaves covered the ground beneath this beautiful family. Reds, oranges, and yellows still glowed from the newly fallen leaves. The green shrubbery in the background contrasted nicely with these vibrant colors. 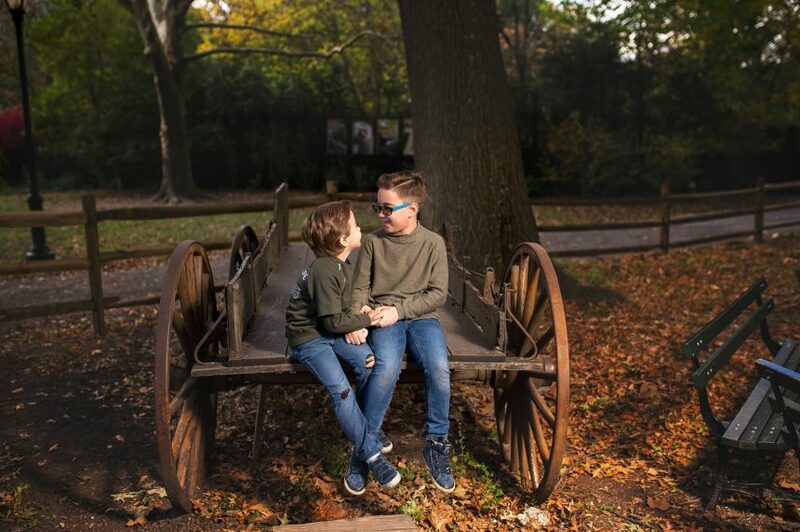 In the park, we found a vintage wagon that we were able to use for pictures as well. As shown above, the boys embrace each other happily. For their outfits, mom chose to dress the family in shades of green. Each member wore a different shade of green, from dad wearing a vibrant lime green, to mom and the boys wearing a dark, hunter green. 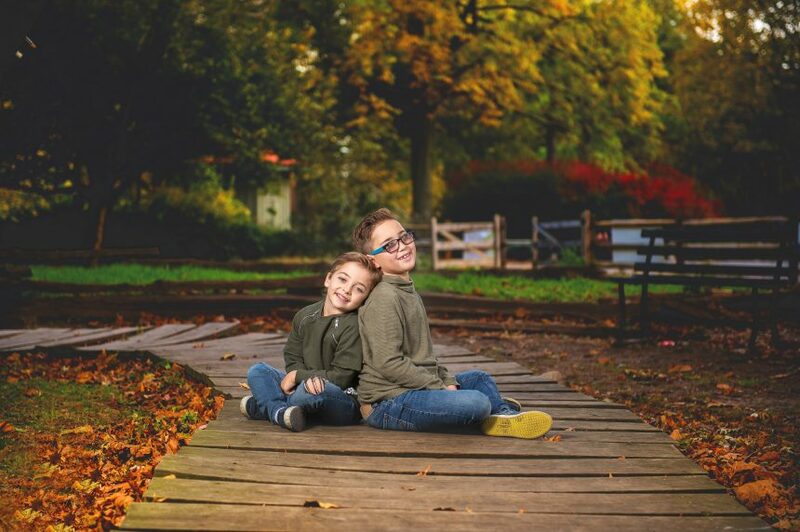 They each wore jeans as well to keep them warm during their session and keep their outfits coordinating nicely. You would never know by the pictures in this session, but we actually had to reschedule the first time due to stormy weather. Thankfully, the second time we scheduled the session, the sun shined and the weather was absolutely perfect. Mom was so pleased with all of the family’s pictures, as they exceeded her expectations. She plans to print them and hang them on the living room walls so that they can forever remember this moment. To create forever memories for your family today, please contact me here!